A few eyebrows were raised when Adam Wainwright said he grooved a pitch to Derek Jeter in the 2014 MLB All-Star Game. It went against the storybook quality much of Jeter’s career had, even if it was the truth. What’s more, it made us respect the All-Star Game even less, no matter how often we’re told “This time it counts.” In 2015 it looks like that final, dangling shred of credibility is about to disappear as eight (8) Kansas City Royals could join Mike Trout in representing the American League. Major League Baseball officially has its midsummer tradition on life support, and we might all be better off if it died. If you have not been keeping up with the voting — apparently, 29 fanbases are not — the ballot box-stuffing Kansas City faithful has given AL manager Ned Yost a familiar cast to direct, i.e. the same Royals team he puts on the field every night. As of June 15, only Trout represented a team other than the Royals at the top of the All-Star balloting. In a show of solidarity and support for its “underappreciated” club, Kansas City fans have gone on a voting binge to get as many members of its team to Cincinnati as possible. Unfortunately, they have not shown restraint and are sending the questionable (Eric Hosmer, who is outpacing Miguel Cabrera and Mark Teixeira) along with the doubtful (Kendrys Morales, who is leading over Nelson Cruz) as well as the by-no-means acceptable (Omar Infante, who is hitting .210 and has a negative WAR this season). 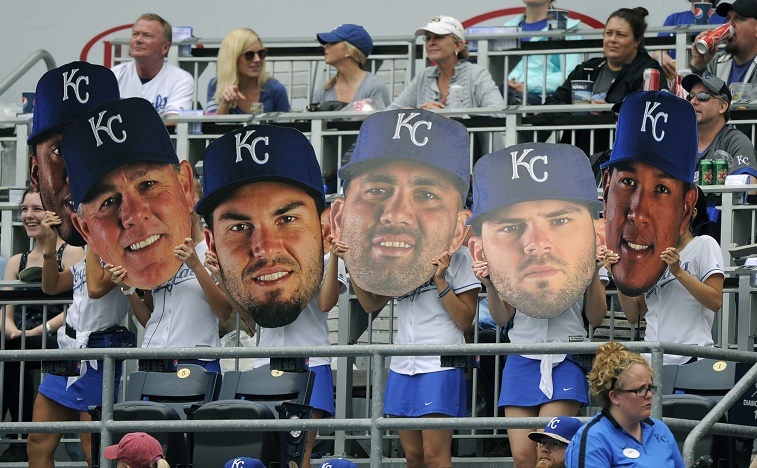 Royals fans are proving a point and are doing nothing immoral or illegal. The system in place (like that of our democracy at large) rewards those who turn out in the greatest number to support a particular individual. There are negatives everywhere in this scenario, but it may also kill the All-Star Game as we know it, which would be a very good thing for baseball. To understand how silly it would be if all eight Royals went to Cincinnati, we’ll simply look at Omar Infante, currently leading the pack at second base. Infante has had a forgettable season with career lows in average (.210), on-base percentage (.219), and OPS (.511). Compared against his past performances — or anyone in the history of baseball, pitchers included — Infante has been absolutely dreadful in 2015. 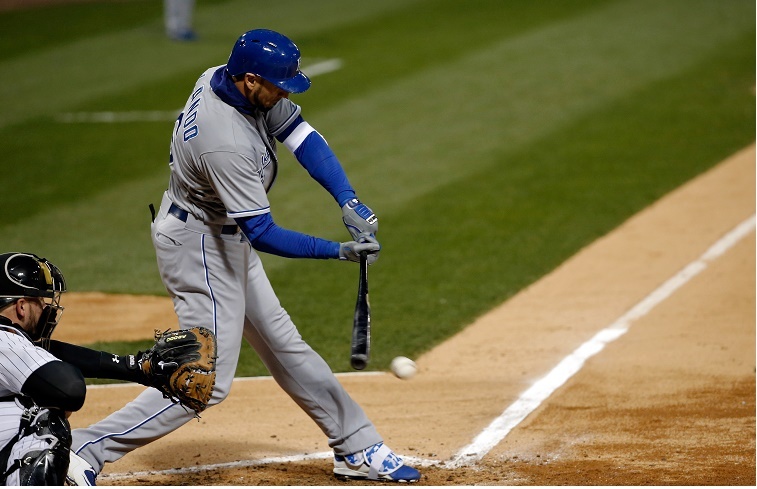 Will Kansas City fans not have buyer’s remorse when they find such a poor player at second base? Jason Kipnis (.335 BA, .913 OPS) or Jose Altuve (.290 BA, 17 steals) would be far better choices and, should the Royals return to the World Series, have a better chance of securing home field advantage for K.C. As David Price has reminded fans, there is something on the line at the All Star Game, no matter how little fans care about the game itself. While “best players play” has never been the case, now that the Royals are taking the entire team to the ballpark in Cincinnati we can only hope the fan vote is eliminated for future games. Managers and players should be picking the starters. Give the fans votes for the alternates. That is the place where you should get a fan favorite or a retiring great on the team. But we should never have Omar Infante playing second base, supposedly representing the game’s elite. If that goes down in July, Major League Baseball will have (to quote another Price tweet) “a joke” on its hands. The ratings are so poor for the All-Star Game already, we’re not sure why the sport would want its profile to sink any lower. The only saving grace would be if the current system died as we know it at the Royals fans’ hands. Stats, current as of June 16, are courtesy of Baseball Reference.